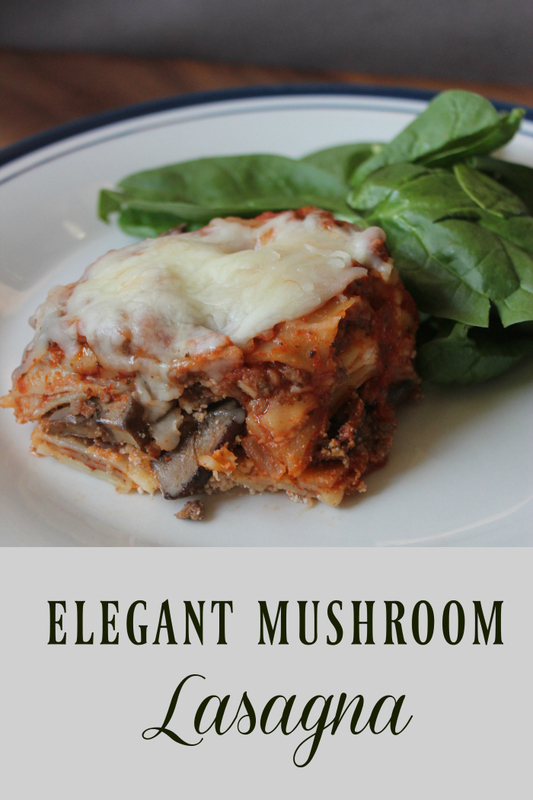 Mushroom Lasagna and 5 Ways to Enlist Your Kids to Help with CleanUp! The holidays mean so much family time around here. Yes, we love singing the songs, and lighting the trees, but we also work together as a team to clean up after all the fun! With some of the meals we make being extra messy, it's important that we get all of the kids working together to pitch in. How do we do that? 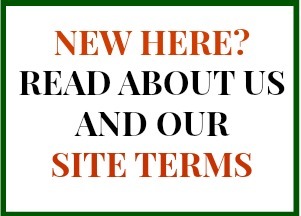 By providing consistency and fun! Here are the five ways I get my kids working to help clean up whatever messes the holidays throw at us. 1. Give them the right tools. Having an ample supply of products that are designed for tough jobs is key to getting them excited to help. No one wants to work with tools that don't work! 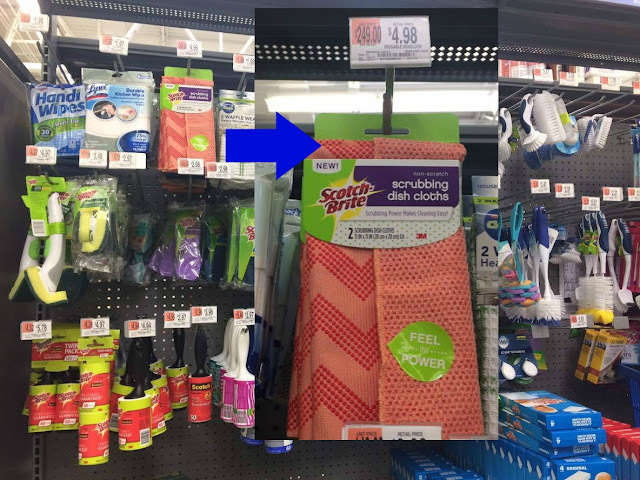 We recently fell in love with the new Scotch-Brite® Scrubbing Dish Cloth that we bought at Walmart. It has two sides, one idea for scrubbing everything from countertops to pots and pans. They are absorbent and colorful, too! 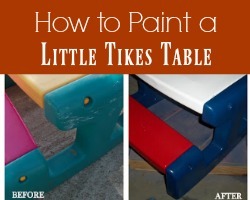 My kids can clean up in no time with these! 2. Whistle while you work. We always have music playing when we clean up. It keeps everyone cheerful, and the person with the hardest jobs (scrubbing the pots and pans) picks the playlist! 3. Give everyone a job. No one wants to feel like they are stuck doing the lion's share of the work. Even our tiniest family members help out. Toddlers can throw things in the trash or hold the dustpan while you sweep! It prepares them for chores later on, too. 4. Praise! Let kids know that they are doing an amazing job! Yes, they may have a lot to learn, but planting the seeds of taking pride in their work can't come too soon. 5. Model, but don't do it for them. Kids aren't born knowing how to clean. Show them step-by-step how things are done, but leave enough work for them to practice. The Scotch-Brite® Scrubbing Dish Cloth is perfectly designed for this. Because there are two cloths in a package, one can be for you, and one can be for the kids! Start by mixing the pasta sauce and the water in a bowl. Set aside. In a skillet, brown the hamburger over medium-high heat until cooked through. Liberally salt and pepper. Then add in mushrooms and continue cooking until they are browned, but not cooked all the way through. Remove from heat. After your pan is full (about 2-3 layers), cover with a final layer of sauce and the mozzarella cheese. Do not overfill the pan, or you'll have the mess that we had! Bake in a 350 degree oven for 45 minutes, or until you can stick a knife in the middle and the noodles feel soft -- not too firm. Remove from heat and let stand for 15 minutes before serving. We like ours with a nice side of fresh spinach and a vinaigrette! 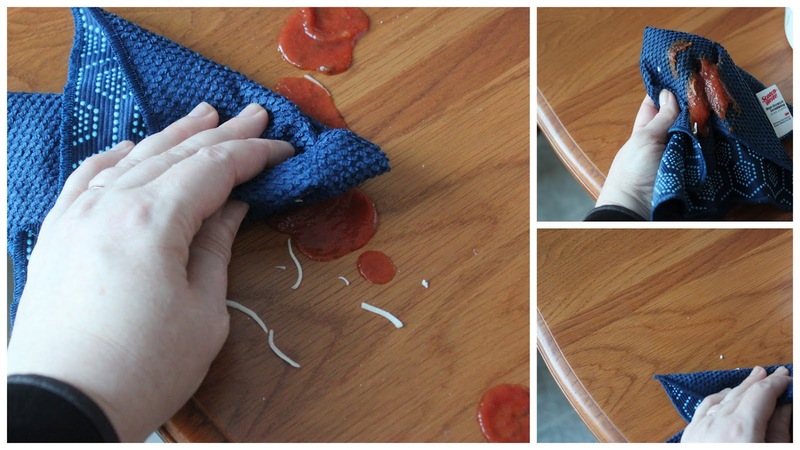 Use your Scotch-Brite® Scrubbing Dish Cloth to clean up the counters AND the pan when it's all gone. 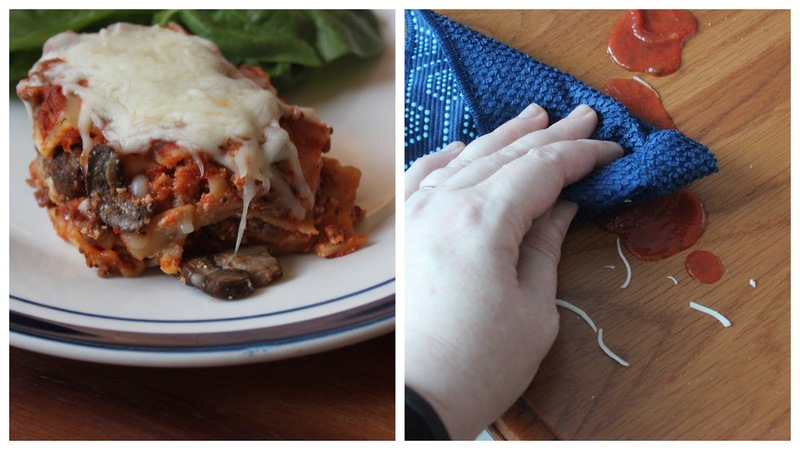 These multi-purpose cloths are great for just about everything in the kitchen! (Maybe that's why their tag line is: The Dish Cloth. Reinvented.) Get a 2-pack for just 4.97 in the following colors: Navy, Tan, Gray, (available online), Mint, (available online) and Coral! The Scotch-Brite® Scrubbing Dish Cloth is fully washable, reusable and sturdy. 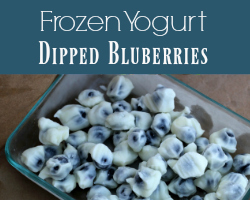 You can find more useful tips and amazing recipes here!